My husband and I celebrate our thirteenth wedding anniversary today. He’s a great guy. I’m blessed. I’ve been thinking a lot about marriage lately. About marriages that fail and marriages that succeed; why I got married and why I stay married. What I didn’t know and what I still don’t understand. About what I hope my kids’ marriages look like. About grace and commitment and friendship and passion and comfort. 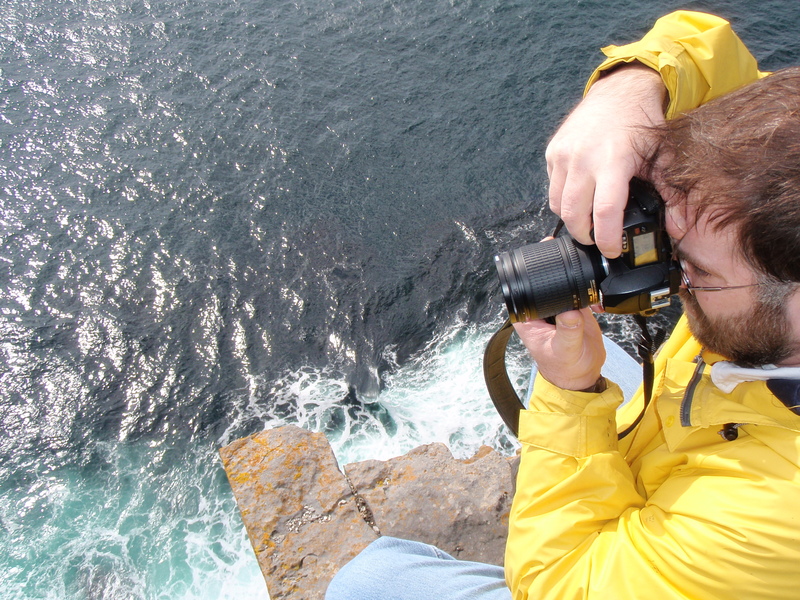 For our tenth anniversary we went to Ireland. Everything in Ireland was fierce. Blustery weather, dark clouds, brilliant rainbows, the heady scent of burning peet, rough wool sweaters, spray painted sheep. Scalding hot food and blistering cold showers. Hot tea, homemade butter, oatmeal, cream and vegetable soup and blood pudding. Churches, cemeteries and castles. Guinness and dancing. 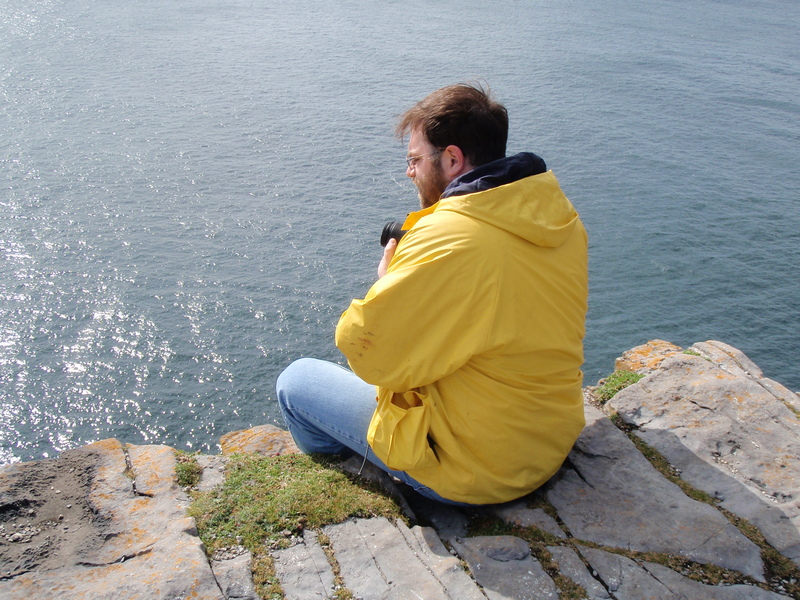 One day we took a ferry out to Inish Mor. Its an island off the coast of the Connemara region. 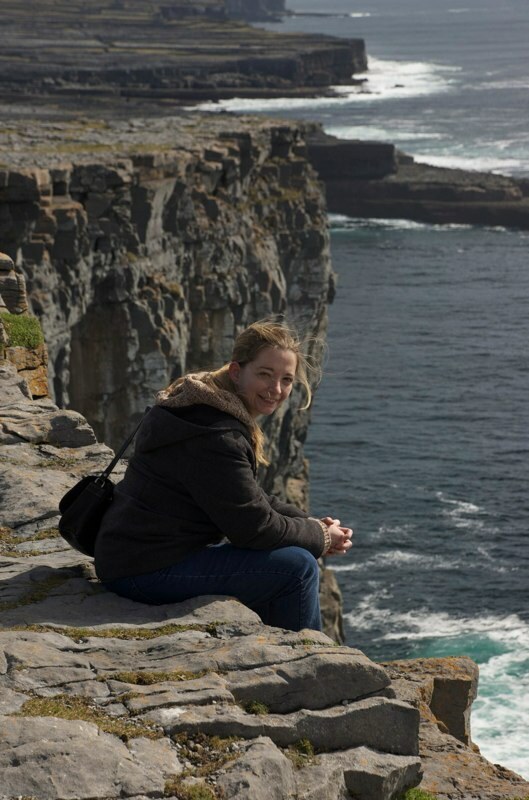 The island is home to the 2000 year old fort Dun Aengus and to my absolute favorite place on earth. 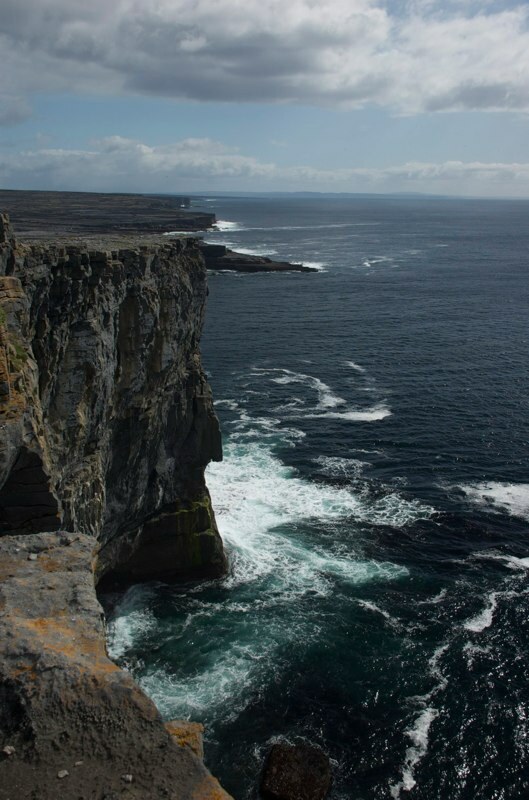 The cliffs of Inish Mor. 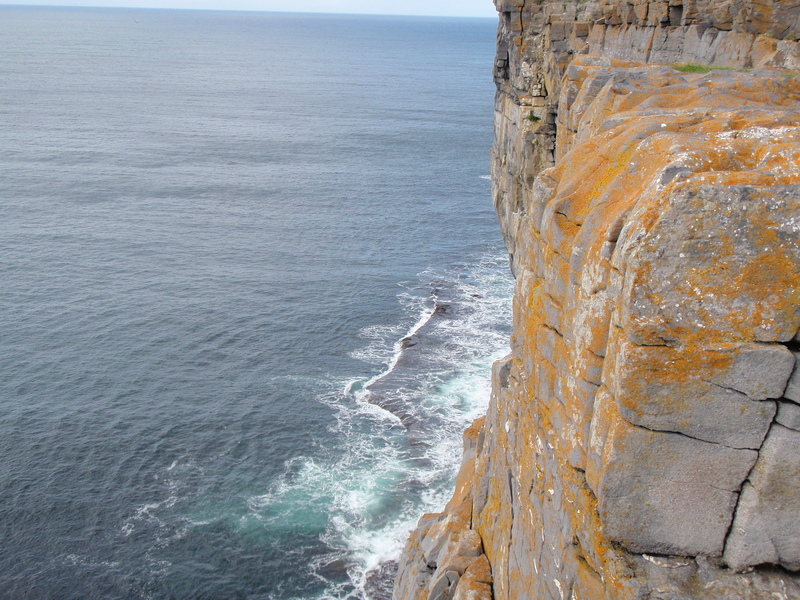 It occurred to me as we stood by those cliffs that in the USA this would never happen. We’d have warning signs and fences and legal disclaimers and nets. We have too many rules. Maybe its too many attorney’s. 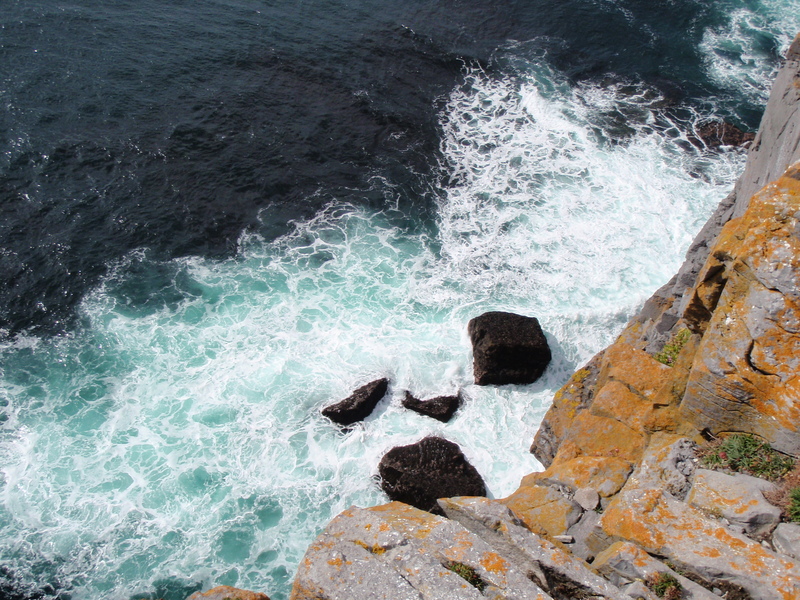 I think in Ireland they figure if you fall off the edge of the cliff its your own fault. Why wreck the view for everyone else? 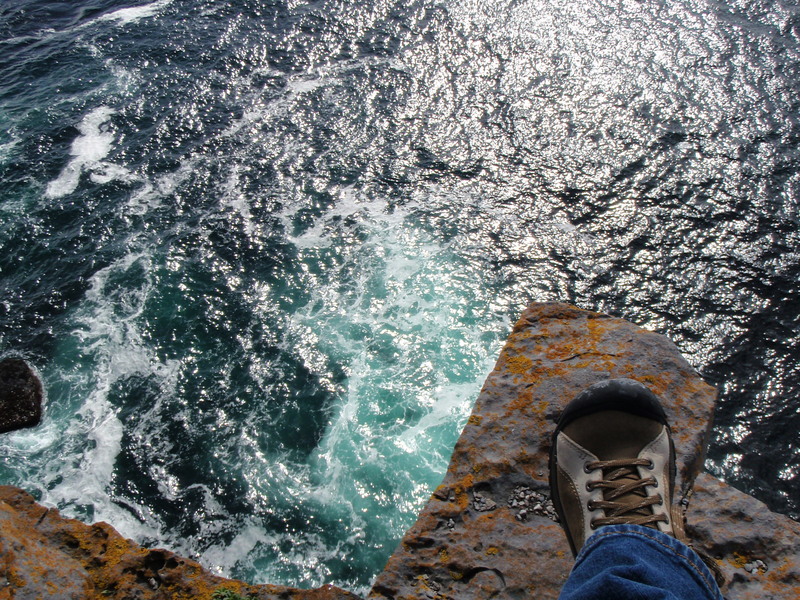 Standing on the edge of the cliff with my spouse might be the most alive I’ve ever felt. Terrified but exhilarated. It was so worth the risk for the view. Ireland is a beautiful, dramatic, heartbreaking and soul-searching country. Its cheerful and playful and majestic. It is not a place for the weak at heart. It’s a little like a good marriage. I love you Aaron. Happy Anniversary. Wanna go back to Ireland with me? The value of a date. 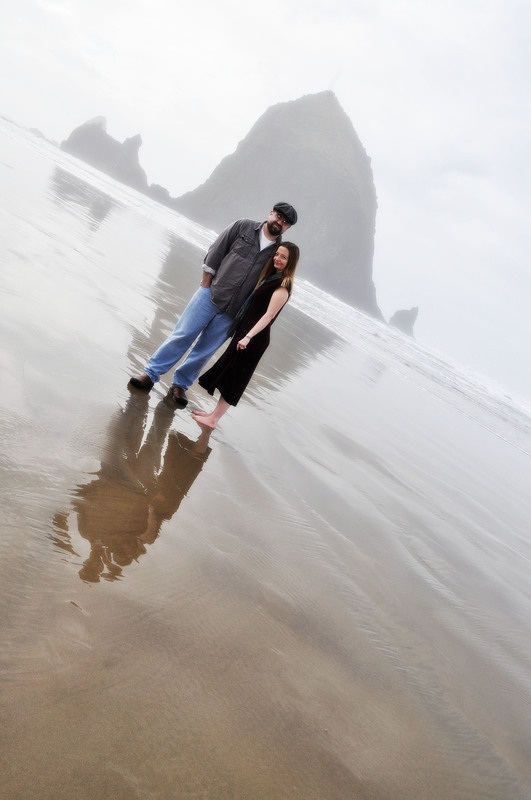 My husband and I had our twelfth anniversary on Sunday. We almost skipped celebrating. He spent the whole weekend as a Roman Soldier and I had enough of chasing after child actors. We were exhausted and crashing on the couch and ignoring the event seemed reasonable. Tempting but against the rules. My husband and I are both first-born, type A people. We get a lot done. We forget sometimes to have fun. So we have a guideline to remind us. Don’t skip holidays and go on frequent dates. One of the things I love the most about being married to my spouse is that he knows how to throw a party, plan a feast, buy gifts that please and generally make a huge fuss over any success. I forgot this recently. I was out-of-town on St. Patrick’s Day so I missed the annual Corned Beef and Cabbage and Soda Bread. Then on Dr.Suess’ birthday I was at work and didn’t partake in Green Eggs and Ham. I can’t believe I almost talked him into skipping anniversary dinner. Dinner Sunday night was at a great little Italian restaurant. Somewhere after mozzarella, tomato and basil I felt revived. After salad and some conversation with the guy I spend my life with I was smiling. By the time we’d worked our way through Spaghetti, Cheesecake and Apple crisp we’d covered just about every neglected topic of conversation. The food was wonderful. The company was better. I tend to take for granted things of great value simply because I have them in abundance. Do you? One of the songs in church this morning was Come Thou Fount. A lyric caught my attention; “Praise the mount, I’m fixed upon it, mount of Thy unchanging Love”. I have a thing for mountains. I can tell you the exact moment it happened. I was in Kindergarten and it was recess. I was probably the only kid who was happier in class than at recess. It had something to do with the fact that I was slightly a klutz and would much prefer reading a book than running anywhere. This is still basically true. So one day at recess I was standing by my teacher watching the other crazy children yelling and hanging upside down from the monkey bars. My teacher shook her head, looked up at Mt. Hood and said “the mountain is calling to me”. That statement rang true in my five year old ears and I’ve looked to mountains ever since. We went to visit family in Nebraska one time. I didn’t like it. Nebraska may have some wonderful traits but she does not have mountains. In fact, an aunt said she’d drive us out to “their mountain” and we could look at the view. I was not impressed. Growing up in the Pacific NW I was used to being surrounded by foothills and seeing the unchanging and impressive views of Mt. Hood, Mt. St. Helens and the out of town beauties of Rainier, Bachelor, Adams and Jefferson. My parents celebrated their fortieth wedding anniversary today. That’s a bit of an impressive mountain too. I look at their marriage and I’m grateful for the steady and impressive view. Our culture is hard on marriages today. Its an institution that Hollywood ridicules, politicians fight over and many in my generation don’t value. We went out to breakfast yesterday and our waiter was loudly talking to the people at the next booth all about his new plan. He and his girlfriend decided it was significantly better to stay single for the tax advantage and what was the point of getting married anyway? 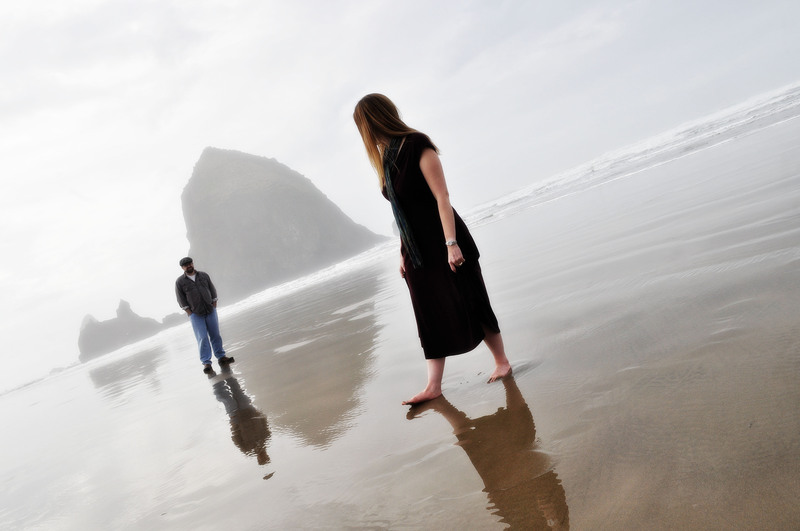 Too many marriages end in divorce so why bother? I sighed. That day in May of 1980, my dad and I stood on an overpass and watched Mt. St. Helens erupt. I still have a jar of ash in my closet. We wore the masks and were thankful the mountain blew away from most of civilization. We’ve all seen divorces. They are a bit like a volcano. Terribly painful, sometimes unavoidable. Gotta tell you though, Mt. St. Helens is still a gorgeous mountain even after the eruption. I’d rather people take the risk and get married. I’d rather we have marriages to point to as success stories. I’d rather live among volcanoes and mountains than in the flatlands in Nebraska. I am so very grateful for the love of God and for the mountains He made that call to me.